If you’re reading this, you probably already know something about the Markets in Financial Instruments Directive II (MiFID II). But, do you know enough? Because, once it comes into force on the 3rd January 2018 across the European Union (EU), all businesses must comply with new requirements to record telephone calls, SMS and electronic communications made through mobile devices. Let’s start at the beginning. In November 2007 – just before the onset of the so-called credit crunch – the first MiFID regulation was introduced. Its aim? To protect the customer by increasing transparency across financial markets in the EU and standardising regulatory disclosures. Measures were put in place and businesses were told to play by the rules. A decade later, following a period of unprecedented technological progression and an economic crisis, the financial playing field has changed. Now, some of those rules don’t go far enough to protect financial consumers. Particularly when you bear in mind how much business today is conducted via mobile devices. Under the new rules, businesses dealing with customer relationships that lead to a trade or credit arrangement will need to be more transparent about costs, charges and their financial advice. To ensure that’s the case, all telephone conversations, electronic communications and face-to-face meetings that are intended to result in a transaction or the provision of services, will need to be recorded in their entirety. They’ll also need to be stored for at least five years. What’s more, you’ll need to be able to access and replay these recordings quickly and easily – and offer the same opportunity to your clients. That, of course, creates challenges for many businesses that just don’t have the expertise – nor sufficient storage – to do this in-house. So, with the clock counting down to the New Year and new business challenges to prepare for, what’s the next step you should take? Our advice: protect your business and prepare it by being knowledgeable. You can get MiFID II essentials in Vodafone’s handy FAQs document from international law firm Norton Rose Fulbright. It discusses the specific regulatory requirements and how to address them, to help safeguard your business, your employees, your clients – and your reputation. To make things even simpler, you could let Vodafone handle it for you. Vodafone Network Mobile Recording is highly secure, cost-effective and gives you the control you need. It helps your business to comply with MiFID II from recording to storage and retrieval. For your employees, it’s business as usual – the switch to a recorded system is seamless. For your compliance teams, you can control access to recordings via a secure portal, with triple encryption, which helps them proactively monitor and manage mobile communications covered by MiFID II. Whatever step you decide to take next, take control and get your New Year off to the right start. 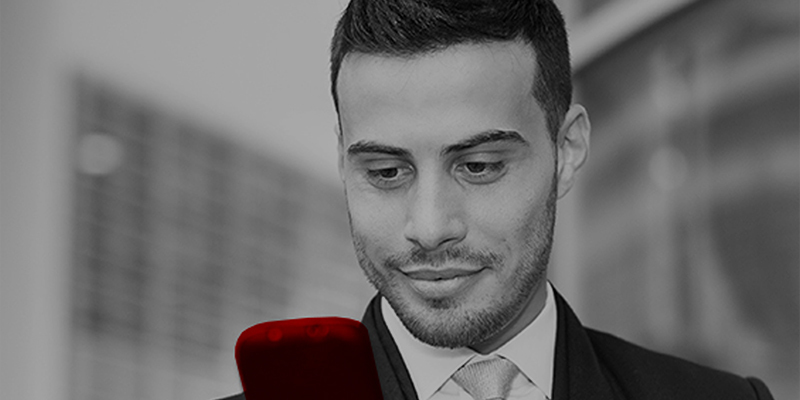 Now’s the time to request a demo of Vodafone Network Mobile Recording.